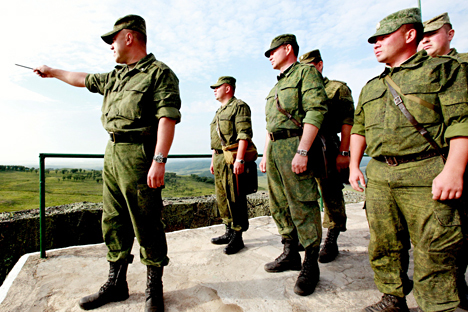 Russian military inspectors will visit training grounds and ranges in Belgium. Russian military observers are beginning to inspect Belgian territory on June 1, during which they are supposed to visit ranges or be provided with information on military garrisons, chief of the Russian national Nuclear Danger Reduction Center Sergei Ryzhkov said. The inspection will be carried out under the 2011 Vienna Document on the implementation of confidence and security building measures from June 1 to 4, he said. "The inspection is to be conducted to determine the scope of notifiable military activities within the limits of the said area or confirm the absence of military activities subject to notification. The area [subject to inspection] is about 16,000 square kilometers in size," Ryzhkov said. The Russian inspectors will visit training grounds and ranges and will be briefed on ongoing military activities and on Exercise Crazy Trip 2016 planned in Belgium from May 30 to June 3, he said.